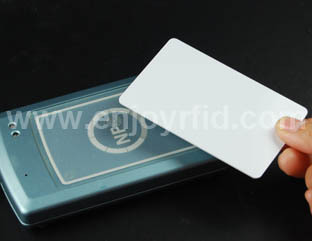 ANZ Bank RFID CARD was exploring ways to introduce biometrics as a replacement for traditional payment identification methods, like PIN codes at ATMs. A survey conducted by the bank showed, 79% of Australians said that they were comfortable with fingerprint technology replacing baking PINs. A simple reason is that PIN codes and signatures are easy to replicate, while biometrics provides a more secure verification method for banking. Fingerprinting or palm scanning would probably be the favored choice for banks, Dunstone said, and new technology has made this method more accurate than before. Earlier this year, Ogaki Kyoritsu Bank in Japan introduced palm vein scanners to several of its ATMs. Deploying biometrics technology is not a cheap endeavor, but it will not be “prohibitively” expensive, Dunstone added. Even the palm readers used by Ogaki Kyoritsu Bank require users to input a PIN. But NFC-enabled smartphones can be used as an alternative to PINs and cards for this purpose. “You can use the mobile to validate who you are at an ATM, with fingerprinting to verify that you are the correct holder of the phone,” Dunstone said.